Cancer is a Fungus !!! 1. THESE TWO PEOPLE ARE TOPS..A MUST WATCH…WHAT THEY SAY WORKS..BUT HAS BEEN SUPPRESSED, DONE AT HOME, QUALITY, CHEAP..( COST ME $300.00 APPROX. ), ..GOES RIGHT TO THE SOURCE DISEASE, ILLNESS…FROM CANCERS, MS, TO THE COMMON COLD!!! …BOTH PEOPLE WERE INTIMIDATED, HARASSED, DISCREDITED, SILENCED. WATCH HER QUESTION AND ANSWER ON YOUTUBE, WITH WORLD RESEARCHERS, DOCTORS, DENTISTS, ETC. .AND MOST OF ALL IT WORKS!!! PROVEN!!! TO KILL PARASITES, FUNGI, VIRUSES, BAD BACTERIA..
DO THE 4 CLEANSES…WORKS..SIMPLE, PAINLESS, DO AT HOME, INEXPENSIVE, GOES TO THE SOURCE OF THE DISEASE,SICKNESS. USE THE ZAPPER ..A FEW TIMES A WEEK..MORE OR LESS..
*** YOU MUST ALSO GET RID OF THE PROCESSED FOODS, AND DRINKS..THAT CONTAIN TOXINS WHICH CAUSE MANY OF OUR HEALTH PROBLEMS..GET HER BOOK CURE FOR ALL DISEASES…http://www.whale.to/cancer/clark.pdf GOOGLE IT ONLINE…SHE GOES THROUGH IT ALL, SSIMPLY WRITTEN SO EVERYONE CAN UNDERSTAND. *** ZAPPER…USE THE ZAPPER AT THE SAME TIME…DOESN’T HURT..IT KILLS THE PARASITES, FUNGI, VIRUSES, BAD BACTERIAS…CHEAP FOR A QUALITY MODEL..DR. HULDA CLARK EVEN PUT OUT THE SCHEMATIC AND HOW TO BUILD THIS SIMPLE CIRCUIT . AGAIN …COPY ALL VIDEOS AND ARTICLES…REUPLOAD THEM TO WEB SITES, BLOGS…SO THE INFORMATION GETS OUT TO EVERYONE…LOOK AT ALL THE BABIES, CHILDREN, WOMEN AND MEN OF ALL AGES THAT ARE IN EXCRUCIATING PAIN, THEIR LOVED ONES TRYING TO FIND A WAY SO THEY CAN REGAIN THEIR LIVES…THE FINANCIAL BURDEN, THE NEEDLESS DEATHS…WORKS!!! 1. DEPOPULATION WORLD POP. BELOW 500 MILLION TOTAL PEOPLE..
Best Wishes In Regaining Your Health and Life Back !!! Here’s the big surprise: We’re talking all kinds of chocolate, not just the dark types. Even milk chocolate and cups of hot cocoa have benefits. We’re also not talking slight improvements. Research reveals that consuming a healthy amount of chocolate reduces your risk of heart disease by 37% and stroke by 29% versus eating little or none. (Not coincidentally, it also lowers your bad LDL cholesterol.) In addition, it shrinks your risk of type 2 diabetes by up to 31%. These impressive numbers emerged from an analysis of seven studies involving more than 100,000 people. Like wine, the trick with chocolate is to indulge daily without overindulging. A little goes a long way, because most chocolate contains about 150 calories per ounce, including lots of sugar and fat. Overdo and you could actually increase the health risks you’re trying to prevent. In most of these studies, people had an ounce or two a day. Even smarter: Get your fix in a cozy cup of hot chocolate made with real polyphenol-rich cocoa powder, no-fat milk, and sugar-free sweetener. Bingo! All the benefits, none of the bad stuff. Eat chocolate, die happy, and live longer. Sweet. Another surprise: Chocolate may also be good for your brain and even your teeth! A creamy complexion: That cup of hot cocoa can also do nice things for your skin. Can’t eat just one? This simple trick may help tame your chocoholic tendencies. The warm, moist environment necessary for growing sprouts provides the perfect conditions for bacteria to multiply. The warm, moist environment necessary for growing sprouts provides the perfect conditions for bacteria to multiply. STORY HIGHLIGHTS Pasteurization is the only effective way of killing harmful bacteria in milk There have been 30 reported outbreaks of foodborne illness from sprouts Eating raw shellfish from the Gulf of Mexico is particularly dicey (Health.com) — Recent headlines about contaminated foods, from peanut butter and salad to turkey and eggs, are enough to make even the most intrepid eater a little bit paranoid. But before you commit to a life of vitamins and astronaut ice cream, take comfort in the fact that you’ll likely be OK eating as you always have: “We have a very safe food system,” says Shelley Feist, executive director of the Partnership for Food Safety Education. There are only three foods so risky that you should avoid them altogether. Here’s the red-light list: Raw milk Fans of raw milk (meaning milk that hasn’t been pasteurized or homogenized) credit it with having more beneficial bacteria and enzymes than its processed counterpart, but science hasn’t proven any of these claims. And raw milk can become contaminated in a number of ways: by coming into contact with cow feces or bacteria living on the skin of cows, from an infection of the cow’s udder, or from dirty equipment, among others. The special heating process we know as pasteurization is the only effective way of killing most, if not all, harmful bacteria — which can include listeria, salmonella, and E. coli. Health.com: 10 types of food that can make you sick According to the Centers for Disease Control (CDC), there were 86 reported food poisoning outbreaks from raw milk between 1998 and 2008, resulting in 1,676 illnesses, 191 hospitalizations, and two deaths. Raw milk is responsible for nearly three times more hospitalizations than any other foodborne disease outbreak, says Hannah Gould, Ph.D., senior epidemiologist with the CDC’s Enteric Diseases Epidemiology Branch. It’s no wonder selling raw milk to consumers is illegal in about half of U.S. states. “We have two people, in California and Pennsylvania, who developed Guillain-Barré syndrome [which can cause paralysis and respiratory failure] after contracting a bacterial infection called campylobacteriosis from drinking raw milk,” says John Sheehan, head of dairy safety at the U.S. Food and Drug Administration (FDA). “These were healthy, active people who came down with debilitating, lifelong diseases.” Health.com: How to practice food safety in your home kitchen Raw sprouts When sprouts were identified as the culprit in the food poisoning outbreak that killed at least 50 people in Europe this past summer, you probably wondered: What could be so bad about innocent, vegan-friendly sprouts? But food-safety experts weren’t surprised. According to the CDC, there have been at least 30 reported outbreaks of foodborne illness in the U.S. from raw or lightly cooked sprouts since 1996. All types of sprouts — from the alfalfas you get on a sandwich to the mung bean sprouts garnishing your Thai food — can be dangerous when not thoroughly cooked. This is largely because of how they’re grown, explains Michelle Smith, Ph.D., senior policy analyst at the FDA: The warm, moist environment necessary for growing sprouts provides the perfect conditions for bacteria (such as salmonella or E. coli) to multiply. Health.com: How can you tell if food poisoning is harmless, or life-threatening? Ask for restaurant and take-out meals to be sprout-free, since you can’t know how well they’ve been cooked. And if you just can’t live without sprouts, try getting used to giving them a hot bath before you eat them: Research has shown that you can kill salmonella by immersing contaminated sprouts in boiling water for five seconds. Raw oysters from the Gulf of Mexico Everyone knows that eating raw shellfish can be dicey (and in fact the CDC advises against it entirely), but bivalves from the Gulf of Mexico take it to a whole new level. Waters in the Gulf are warmer than those in the Pacific Northwest and other popular oystering spots, making it possible for a bacterium called Vibrio vulnificus to thrive. “Oysters are filter feeders, which means they concentrate any contaminants in the water,” explains William E. Keene, Ph.D., a senior epidemiologist at the Oregon Public Health Division. “A number of toxins can get into an oyster, but none are remotely as bad as Vibrio vulnificus.” Health.com: 10 states where rare and exotic diseases lurk Healthy people who ingest a V. vulnificus–ridden oyster might have vomiting, diarrhea, and abdominal pain, but for anyone with a compromised immune system, the bug can infiltrate the bloodstream, causing a severe and life-threatening illness called septicemia, which is fatal in one-third of cases. And while having a pre-existing medical condition puts you at particular risk, “anyone at all can get horrifically sick,” Keene says. The good news is that several big seafood purchasers, like Legal Sea Foods and Costco, require that Gulf oysters be pasteurized before being served, as does the state of California — so in these places the risk is far lower. Keeping your vitamins fresh and potent longer means thinking like a real estate agent: location, location, location. And the worst location? Your bathroom or kitchen. Research shows that these steamy hot spots can degrade some vitamins in as little as 1 week. The phones themselves aren’t necessarily harmful. It’s the radiation emitted by the phones — and absorbed by the human body — that troubles some doctors. But when it comes to radiation levels, all phones aren’t equal. Below are lists of the models available from major carriers that emit the highest and lowest levels of radiofrequency energy. A quick explanation of the numbers: They refer to the “specific absorption rate” or SAR, a common benchmark that measures the rate of radiofrequency energy your body gets from the phone. 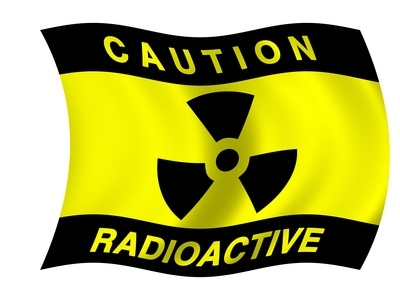 The lower the number, the lower the radiation exposure. For a phone to be certified by the FCC and sold in the U.S., for example, its maximum SAR level must be less than 1.6 watts per kilogram. But keep in mind that these are only ballpark figures. Your actual exposure will depend on how you use your phone, your carrier and network-specific conditions. For example, when your connection is weak, your cell phone needs to send out more radiation to reach the cellular tower. And there’s still no conclusive evidence that a phone with a higher SAR level poses a greater health risk — or any health risk at all — than a model that emits less radiation. Some other high-profile phones fared somewhere in the middle on the rankings. The SAR level of the Apple iPhone 4 was 1.17 W/kg (for the AT&T model; the Verizon model wasn’t listed). Exposure levels for the dozens of BlackBerry models varied widely. CNN.com’s Jacque Wilson contributed to this story. Some people think organic food just tastes better and, if you can afford to- as it usually cost more than conventional, it makes sense to give your body the most delicious and best possible food available. But don’t stress if you can’t always shop for key organic items– a varied, nutritionally balanced diet with proper food safety handling, whether organic or not, is the most important thing for overall health and well-being. SupermarketGuru wants to keep you shopping smart so read on to find out what items you should choose organic, and which you should skip. According to the Environmental Working Group, choosing organics is “always the best choice” — but not everyone agrees, nor can everyone afford the organic prices. There are twelve key produce items, nicknamed the “dirty dozen”, that when available should always be purchased organic: peaches, apples, sweet bell peppers, celery, nectarines, strawberries, cherries, lettuce, grapes, pears, spinach and potatoes. Produce that has a thin skin or no protective layer is usually best purchased organic- this is key to keep in mind if you are shopping and you forget the “dirty dozen.” The EWG also points out fifteen items that you don’t necessarily have to purchase organic, the “clean 15”: onion, avocado, sweet corn, pineapple, mangos, sweet peas, asparagus, kiwi, cabbage, eggplant, cantaloupe, watermelon, grapefruit, sweet potato and honeydew melon. For non produce items, the regulations allow four different labeling options based on the percentage of organic ingredients contained in a product: “100 percent organic” (self explanatory!). “Organic”: contains at least 95 percent organic ingredients by weight, excluding water and salt. “Made with organic”: contains between 70 to 95 percent organic ingredients. Products with less than 70 percent organic ingredients list the organic items in the ingredient panel. The green and white USDA seal may be used on products that are “100 percent organic” or “organic,” but is entirely voluntary. The balance of ingredients used must be cleared by the USDA and listed on the National List. What does it actually mean to be organic? USDA Organic standards require that the land used to grow organic crops go through a three year “transition period” to make sure the crops are free of synthetic pesticides and synthetic fertilizers. All organic agriculture prohibits the use of synthetic pesticides and fertilizers, irradiation, sewage sludge, and no genetically modified organisms can be contained in anything labeled organic – however, keep in mind that there are over 100 pesticides that can be used in organic farming. As far as food safety is concerned there is no difference between organic and conventionally produced foods – so always remember to wash all fruits and vegetables thoroughly, and employ safe handling and storage for meat, poultry, dairy and fish. And don’t panic – if you are concerned about pesticide residues for yourself or your children and you’re unable to buy organic, you can remove a significant amount of the residues by simple peeling fruits and vegetables and removing the outer leaves (but do be aware you will be losing fiber and some nutrients), and trimming any fat from meat and poultry as the residues tend to be more concentrated in the fat, as well as avoiding fish from contaminated areas. Last night’s Marketplace had a very simple premise. Check for antibiotic resistance in chicken because it is the most popular meat eaten in the country. What they found was, in a word used by interviewees on the show, a crisis. Nearly all of the samples tested were resistant against certain antibiotics, some of them resistant to as many as eight antibiotics. Distressingly, even organic chicken that had been raised properly was tested, and it sported the same results. If you haven’t had a chance to watch it yet, here is their website where you can watch the full episode. Their full test results are here. Here’s a brief rundown of what was in last night’s episode. Overuse of antibiotics on farm animals are one of the reasons that antibiotics aren’t working on us. Chicken and other livestock farmers pump antibiotics into the water and feed of the animals; eggs are even injected with antibiotics before the chickens are born. The simple reason: it makes them grow larger, faster. Why do farmers give chicken antibiotics? Rick Smith, head of Environmental Defense, worked with Health Canada on a commitee to examine antibiotic use in animals. He will now only buy antibiotic-free (or advertised as such, more on that later) chicken. Farmers give chicken erythro, amoxycillin, tetracycline, in feed and water to make them bigger faster. In the words of the Marketplace episode, the human equivalent would be to pour antibiotics in your morning cereal whether you are sick or not. In the show, two-thirds of all of the samples tested had superbugs like e.coli or salmonella, and all were resistant to at least one antibiotic. The PR hack representing chicken farmers said that cooking will kill all bacteria, but Rick Smith argued this is a cop out argument – that consumers should have to solve this problem is “unfair and ridiculous”. As we said above, all samples, even the organic chicken, tested positive for antibiotic resistance. Some of it was resistant to 5 antibiotics. Marketplace spoke to one of the chicken farmers and visited his barn, where they showed that he did not feed or raise his chickens with antibiotics. His theory was that they were either being contaminated at the slaughterhouse (likely) or antibiotics were injected in the eggs before he bought them. Do some farmers agree with removing antibiotics? Some Canadian poultry farmers advocate for antibiotic-free chicken. One of them is Martin Dufresne, who answers the call of a large chicken chain in Quebec, St-Hubert, for antibiotic-free chicken for their restaurants. He says Quebec farmers will be ready in two years. Hopefully guys like Dufresne will work from the inside and network with their fellow farmers to ban antibiotics in chicken. But when you want to take away something that is in the best interest of a business, you have to turn to government regulation. Even the current minority Conservative government has to see that antibiotics in our meat have become a food safety issue after last night’s Marketplace examination. Write your MP a postal letter, if you can take the time, or a personal e-mail if you can’t go the old-fashioned route. Tell them that you are concerned about the food safety of your family, and would like to see antibiotics removed from chicken, just as they are banned in the European Union. We have to take action in this country and make sure that our kids have the same protection that kids in the EU do against antibiotics in their meat. If you fly a lot, I have some bad news for you. Every time you go up to those really high altitudes, it exposes you to ionizing radiation. That’s the type of radiation that leads to DNA damage and aging. However, there is some good news. A new study says there’s an easy way to protect yourself. In this study, researchers followed 82 male pilots. They studied the pilots for chromosomal translocations. That’s a biomarker for cumulative DNA damage. The researchers found that the pilots consuming the highest levels of fruit and veggies didn’t suffer as much damage. They looked specifically at high vitamin C and E, beta-carotene, beta-cryptoxanthin, and lutein-zeaxanthin from food sources, such as citrus fruit and green leafy veggies. The pilots eating a high (but not the highest) quantity of these food had about 40% less damage to their DNA. Those consuming the highest level of these foods had way less damage — 73% less. This is proof of the anti-aging properties of the Living Foods Diet. Food provides far more God-made nutrients than you can get in a bottle. I’m always urging you to increase your consumption of colorful plant foods. Now you know you can protect your DNA by doing so. And it’s not just a matter of flying where radiation is higher. The key word here is “higher.” We are constantly exposed to background radiation. It’s normal. But it’s also normal for us to have natural protection that Nature in its wisdom provides us. So eat all the veggies you can. Ref: “High dietary antioxidant intakes are associated with decreased chromosome translocation frequency in airline pilots,” Yong LC, Petersen MR, et al, Am J Clin Nutr, 2009 Sept 30; [Epub ahead of print]. Kids diagnosed with ADHD are often given bad meds–but all they really need is some good food. The mainstream has been sloooooooow to catch on to the idea that a diet packed with processed foods can literally rot a kid’s brain even as it causes his or her belly to swell. But maybe they’ll take notice now–because yet another study finds that kids saddled with an attention deficit hyperactivity disorder diagnosis show dramatic improvement once those foods are removed from the equation. In the new study, researchers recruited 100 ADHD children from Belgium and the Netherlands–mostly boys–between the ages of 4 and 8 years old and randomly assigned them to either a severely limited diet, or nothing beyond some advice on healthy eating. Those in the diet group started out eating mostly rice, meat, vegetables and pears, and drank only water. After five weeks, kids who got the diet advice showed no change at all–while 78 percent of the kids who stuck to the strict natural diet improved dramatically. The researchers wrote in The Lancet that these kids shed 24 points on the 72-point scale used to measure ADHD symptoms. That’s more effective than many of the drugs used to treat ADHD–but the benefits didn’t end there. Half the children had also been diagnosed with “oppositional defiant disorder,” which is basically a lack of respect for parents and other authority figures. Nearly every kid goes through a phase like that at some point… but the researchers say the “ODD” children on the restrictive diet were less stubborn, had fewer tantrums and showed less provocative behavior. You could say they were less ODD. The researchers didn’t mention side effects, but you can bet that children who skip processed foods are far more likely to learn the kinds of good eating habits that can help keep them healthy for a lifetime. Kids who get meds, on the other hand, could be on drugs for that lifetime–because many of the children who were raised on ADHD meds are now adults who practically depend on them. And that’s despite the risk of everything from physical problems like headache and nausea to mental ones such as psychosis and bizarre, even suicidal, behavior. Wouldn’t it be so much easier to skip the chips instead?